This is an Instagram Roundup with some outfits and looks I've put together recently but I also wanted to share a song that I am loving right now. It's been on my heart to share it with you all. I absolutely love the words from The God I Know by Love & The Outcome. I pray the each of you that visits my blog knows the God I know. He's real, He's alive, He loves you unconditionally, and if you ever want to know more about that love, I'd be happy to chat with you. I hope you all have a wonderful weekend! Happy Thursday! 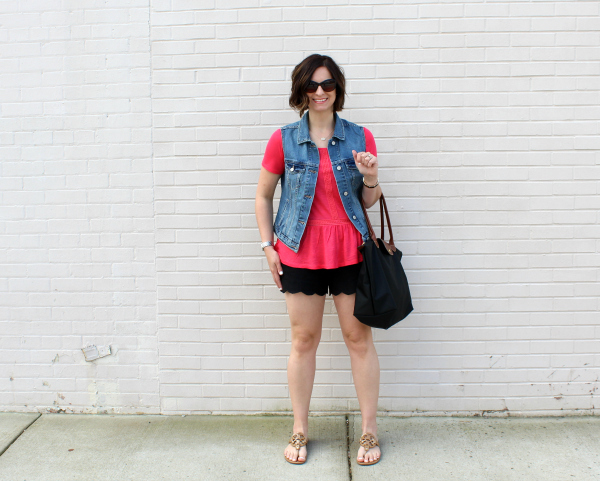 Today's post is all about the color pink because I wear pink almost every single day. I told my husband last night even if pink didn't look good on me, I would still wear it because I love it so much. My daughters also share my love affair with color pink and if pink is an option, we will choose it every time! Pink is just a happy color and it's always been my favorite. 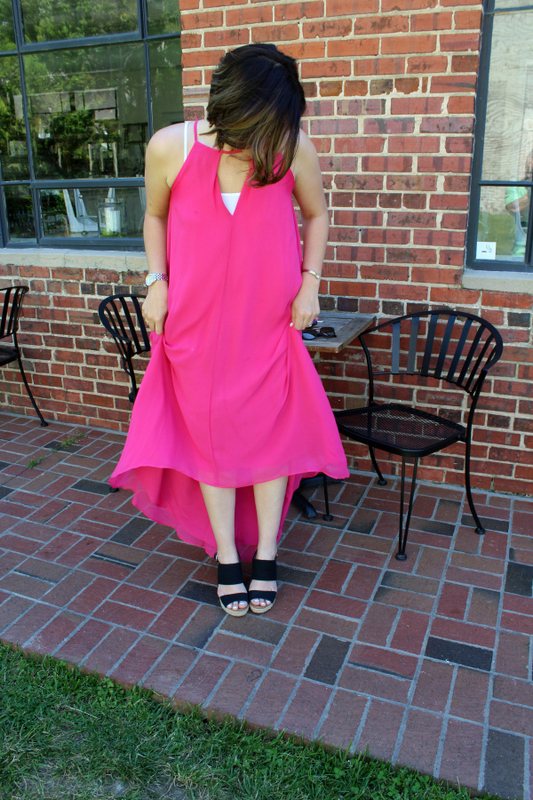 I've been on the hunt for a pretty pink maxi dress for a long time. I had a one when I was pregnant with Olivia but the quality wasn't amazing and one of the straps broke. It took me four years to find one that I loved but I finally did. How gorgeous is this dress?! I think you might have to see it in person to truly appreciate it how free flowing and sassy it really is. It felt super fancy to me when I put it on. I feel like I could have lost the tank, added long sparkly earrings, and stilettos then headed straight to the prom it's that elegant. But to give it a more casual, church friendly vibe, I added a tank, espadrille wedges, simple jewels, and my favorite Accessory Concierge clutch. I also wore a denim jacket when it was a little cool in the morning. I always feel pretty in pink. Hey y'all! What a busy week it has been and is today seriously only Wednesday?! Today, I'm sharing a roundup of outfits from my Instagram feed. You can shop exact or super similar items directly below each photo. Lately, I have been loving all of my super bright accessories! Warm weather always makes me want to brighten up my look. My favorite way to make an outfit come to life is by adding color. Even if you are a neutrals only kind of girl, adding a simple, colorful necklace can just take your outfit to the next level. And YAY for sandal wearing temperatures! My feet can breathe, lol! I hope you are all having a wonderful week! Happy Wednesday! Hey y'all! 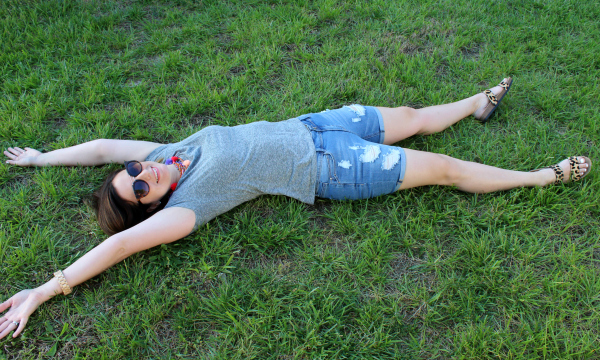 Today, I'm teaming up with Piper Street Shop to show off this casual spring and summer look! Piper Street Shop is an adorable boutique owned my two beautiful moms who both share a passion for fashion and style. 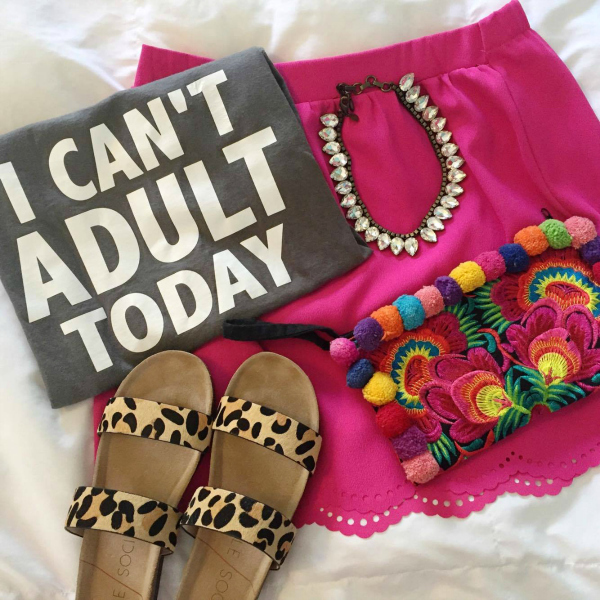 Their boutique is filled with quality items at great prices that will fit your budget. I also love how their items are perfectly modest. Sometimes it's really hard to find clothing that is flattering but still classy. Piper Street Shop provides gorgeous pieces for staying stylish and classy at the same time! 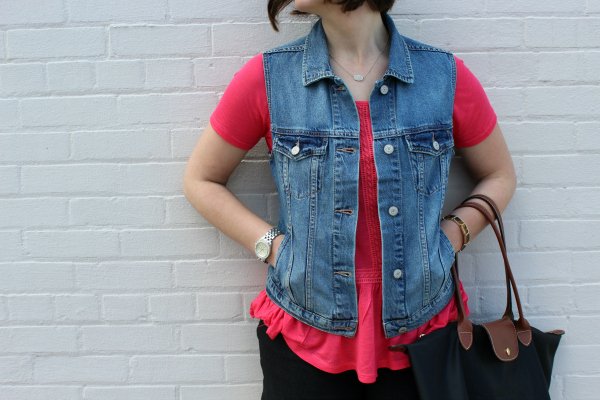 I styled the hot coral Corline top with scalloped shorts and a denim vest for the perfect outfit for running errands on a Saturday afternoon or a casual date night with your love. 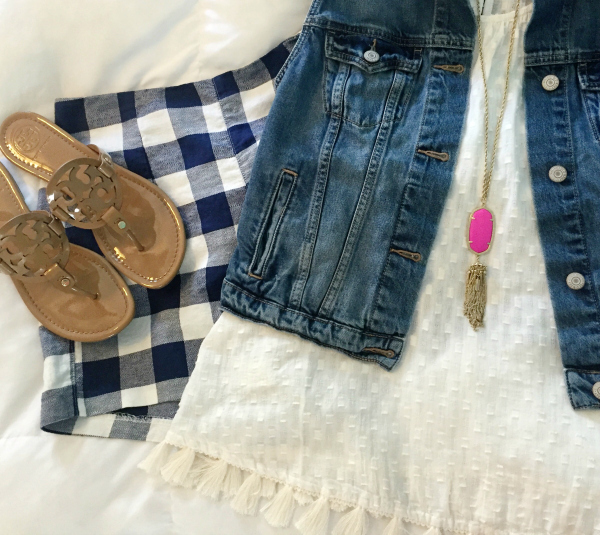 I know that it's perfect for these things because I took this outfit from day to night this past weekend! I also plan to wear this top with white skinny jeans and wedges for a dressier look as well. 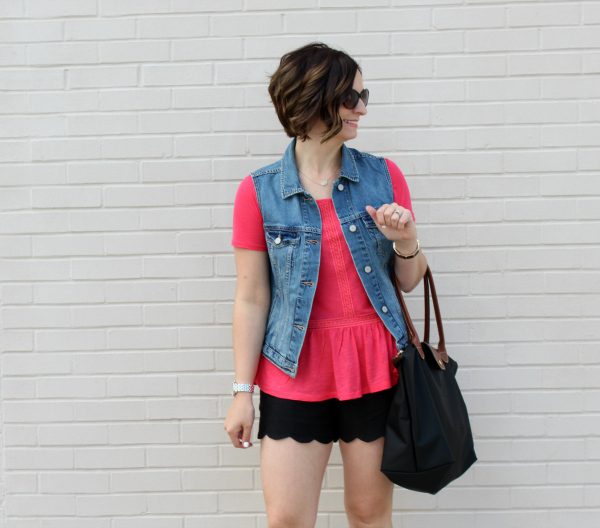 The peplum hem and the detailing is so cute on this top! And the color. Coral is such a great color and did you know that it's universally flattering for all skin tones and hair colors?! I love coral! How would you style this top?! I would love to get more ideas! Thanks so much for stopping by! 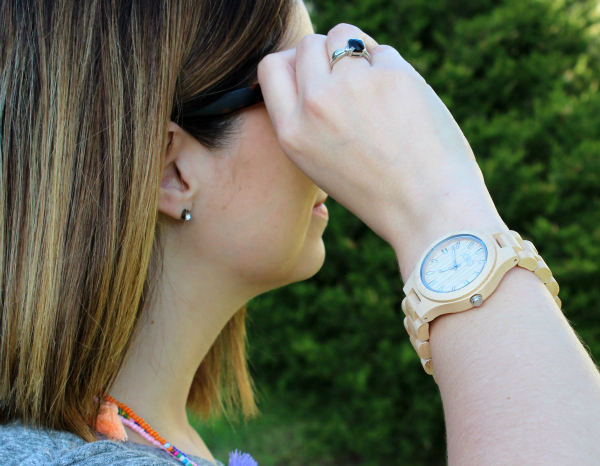 Today, I've teamed up with Wood Watches by JORD to show off the gorgeous watch they sent me to style! 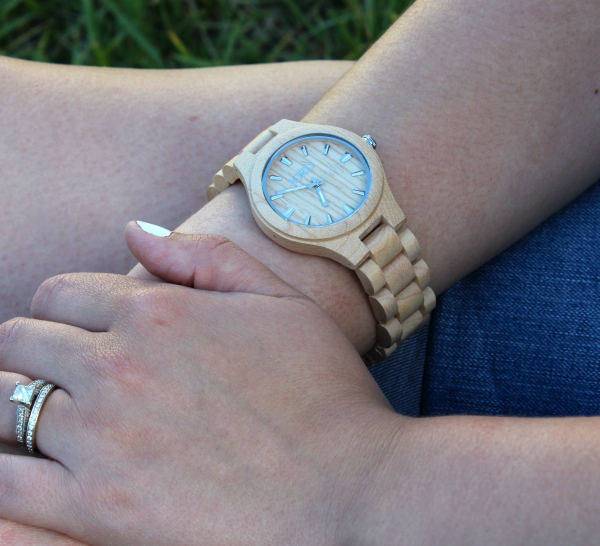 JORD specializes in unique hand-crafted wooden timepieces that tell a story. I had never even seen a watch made of wood in person before mine arrived in it's adorable wooden box. I chose the Fieldcrest in Maple because I love the light color of maple wood. I think the maple gives it a light and feminine look. 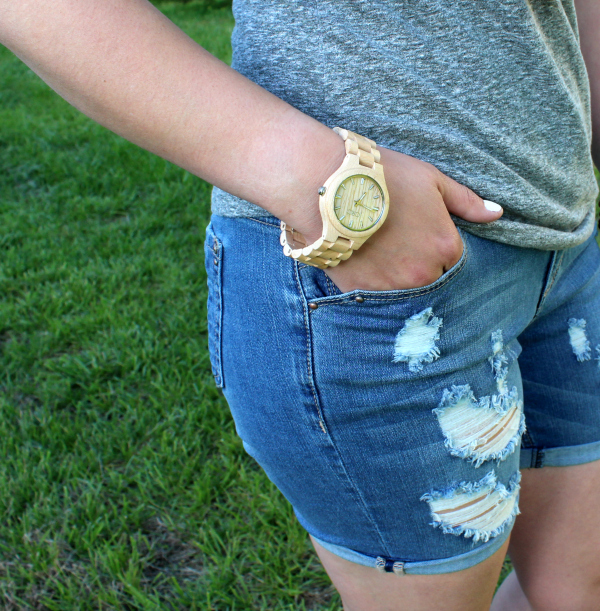 My JORD watch is such a timeless piece that can be styled for running errands or dressed up for a date night! 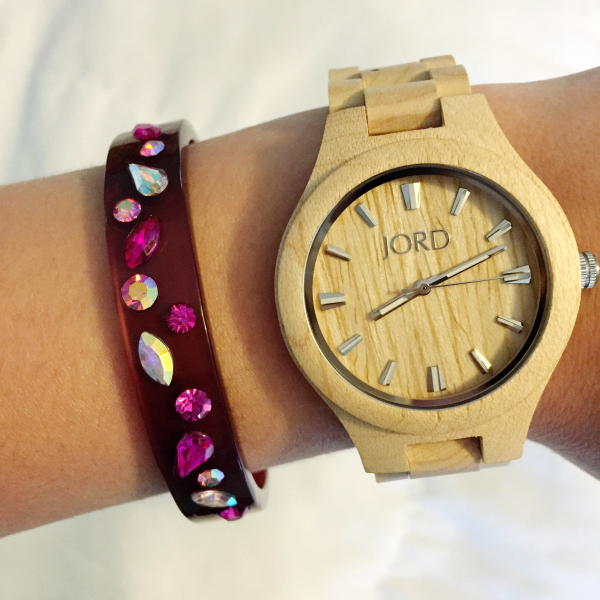 I've teamed up with JORD to bring you the chance to win a e-gift card to buy your own wooden watch! Follow this link to be instantly entered to win a voucher (worth $75, expires one month after the giveaway ends). The winner will be automatically picked and notified via email at the end of the giveaway which ends on May 6th. 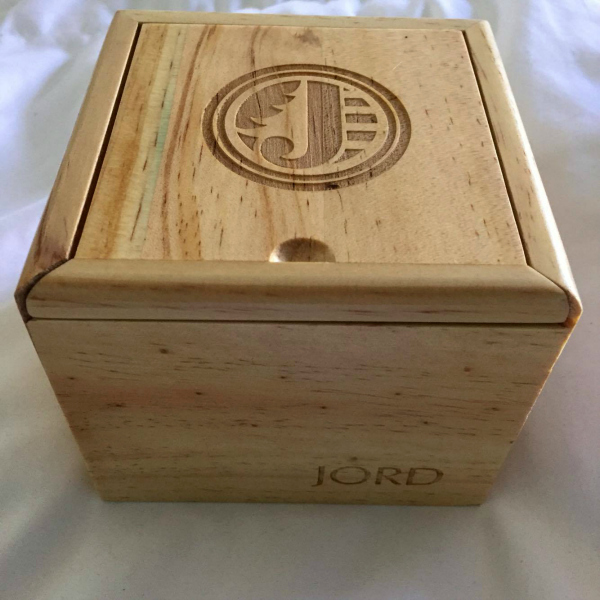 As a bonus, each person who doesn't win but enters will still receive an e-gift card for $20 off their own JORD watch (you will have three months to use this e-gift card before it expires)! On their website, they share this: The value of a watch is not in being able to tell how much time has passed, but in being aware of the need to make that time count. 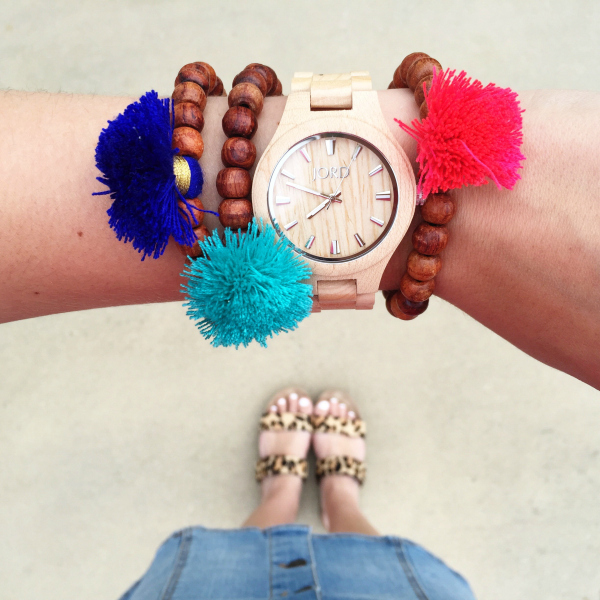 Moments are bigger than minutes and your watch should tell more than time. What a great reminder that a watch can bring you. Make each moment count! Happy Friday Eve! I hope y'all have tons of fun things planned for this weekend. The weather is supposed to stay warm and I love it! I'm getting my hair done... it needs to be cut and colored so bad! Josh and I are also going on a date for the first time in so long on Saturday afternoon. So excited for a reason to put this gorgeous maxi dress to use! Below I have rounded up nine of my recent Instagram photos with direct links to all of the items in the photo or something super similar. Feel free to ask any questions if you are unsure about sizing or fit. I am happy to help and offer suggestions! 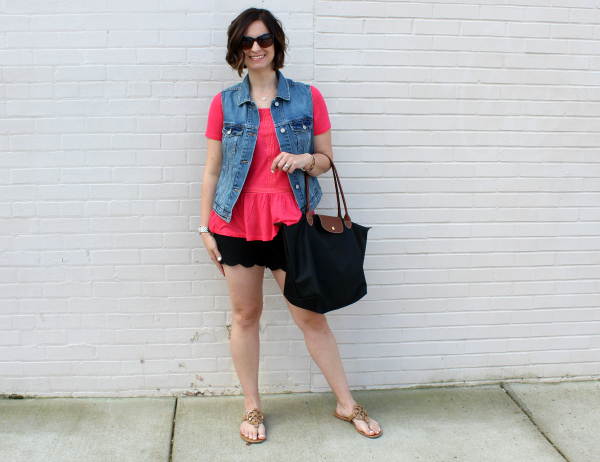 I am loving bright colors and fun details right now! Every look has to have a some sort of pop of color or it just doesn't feel complete to me. Have a great day and thanks for stopping by!